Title : ADF FOOD LTD : Ready to ride Upcoming Growth of Urban Consumer Spending in Processed Food like Ready to eat and Frozen Food Market in India and International market. 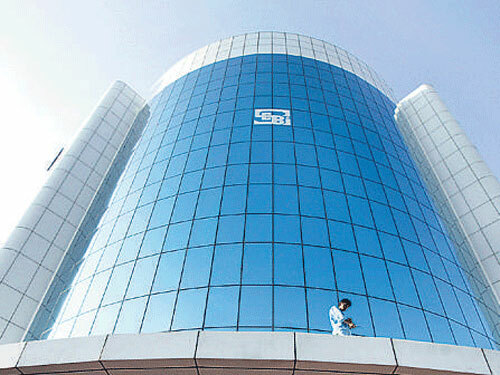 Started in 1932 ,on Mar 1992 the company was incorporated as public limited company. exporter of food products primarily to US, UK and Middle East. Its product offerings include pickles, chutneys, spices, ready‐to‐eat meals, sauces, frozen snacks/ parathas/vegetables/ samosas, mango pulp and slices, and cooking pastes. It markets its products under the brands of Ashoka, Truly Indian, Soul, Nate’s, PJ’s Organics, Aeroplane and Camel. ADF exports its products to almost 52 countries with the help of 180 distributors. Its offerings in US constitute of core brands like Nate’s, Ashoka, Truly Indian and PJ’s and in UK as Brand Soul. ADF has been successful in launching new products in major supermarket chains and natural grocery stores across US. Similarly, its brands Camel and Aeroplane have strong presence in Middle‐East. ADF has proven track record of developing domestic brands like Mothers recipe (Sold off in 2005) which today is 200 Cr brand. It has re‐entered the domestic segment under its umbrella brand SOUL and is available on most traditional outlets. This segment currently is ~5% revenues and is incurring losses at EBIDTA level. However, management is confident of ramping up the domestic business with special focus on distribution and product extensions. 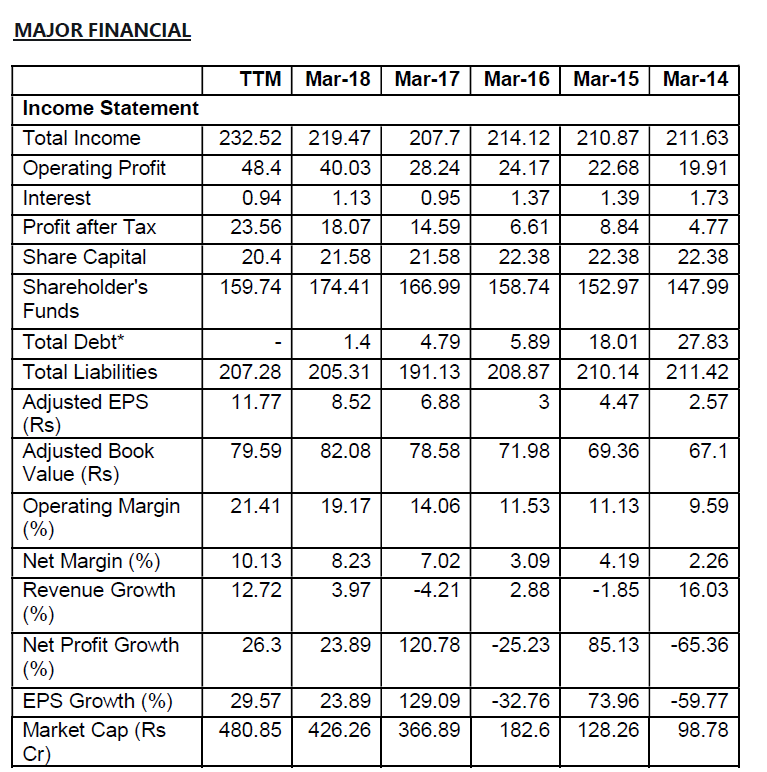 Last 4 years Company Top Line growth was almost nil ( 208 Cr in FY 18 compared to 207 Cr in FY14) However PAT increased from 4.5 Cr to 18 Cr on Improvement in Operating & net Margin due to Product Mix &Product sale strategy change. Stock has not performed in last one year , Now with Topline Growth with Improved Operating Margin and Net Margin , Company can be multibagger. New CMD Bimal R. Thakkar who have taken change in FY2018 is more aggressive for growth and looking for More Opportunities is Domestic as well as International Market. Mr. Bimal Thakkar (MD) is a Commerce Graduate and has done a Course in He has played an instrumental role in ADF IPO, subsequent private placements, settings up of factory at Nasik, expansion of factory at Nadiad, introduction and promotion of the ADF’s products in domestic and international markets, development of Brands and new products, tapping new markets for the products,international acquisitions, setting up of subsidiary companies in U.K., Mauritius and U.S.A. Promoter Stake decreased from 51% in FY16 to 30.3% in June-18 Quarter in open market sale hence stock was continuously under pressure in last 1 year. Reason for selling of share by outgoing Management /Promoter Families due to person fund requirement. However Present Promoter and CMD willing to increase Promoter stake. In Last Buyback offer in FY2018 promoter didn’t participated hence promoter stake increased to 32.31 % in SEP2018 from 30.3 % JUNE2018. Many Recent Launch of Ready to eat & other product and Launch in ecommerce sites like FlipKart online supermarket , Bigbasket, Grofers will provide explosive growth in coming years. Frozen Product has good Margin and % share of this product is increasing in Domestic and international market , In last one year it increased from 25% to 40% of Total Revenue. Many Ready to eat & Frozen foods Product of ADF food which have high margin business has now also listed in Many US, UK and Middle east Online grocery website recently which boosted sales and further Sales may rise. Promoter are honest and Reward Shareholder in Form of Buyback of Shares or Dividend consistently. It is Debt Free Company. International Business: The appointment of new country managers for Europe, Canada, GCC, Levant Countries, Asia Pacific & Africa has strengthened the Sales team and the same will expand our reach to these markets. mango spices, sugar, oil etc. since 95% of business is exports denominated in USD/GBP, exchange rates play a key role in safeguarding margins. Tough Competition from other Organised player in Domestic Market has been there from ITC, Kohinoor, MTR, Gilts in Ready to eat Segment and From Tasty Bites in International Market. 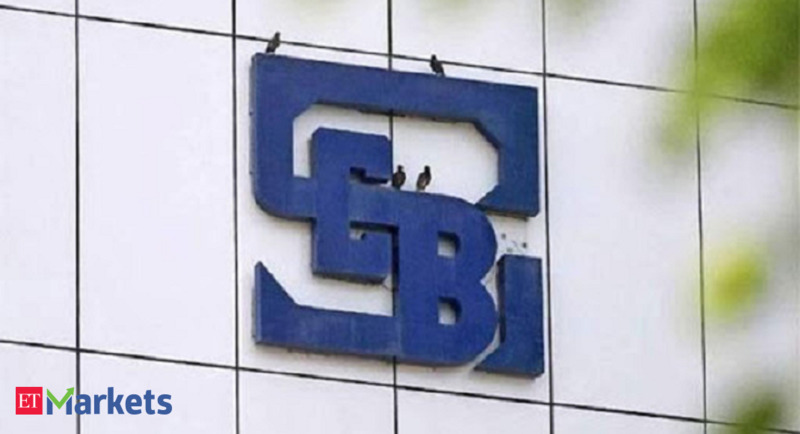 Sebi has imposed a total penalty of Rs 12 lakh on three entities for alleged non-compliance with market regulator's summons related to its probe on charges of fraudulent trading activities by Sanjay Dangi and associated entities. Interestingly , there are 2 more promoters company which are into Trading Business and are not classified as Promoter Group. They can easily trade in the company shares anytime. The e-mail of both these entities is same as that of ADF Foods. @bharat19 , Thanks for Sharing link, However My Intention for Sharing post is Company Fundamental and Earning Outlook. Also Other promoter Entities have not in any Bulk deal in ADF FOOD Bulk deal history. My post is about Fundamental about company. ADF is gaining shelf space in some dominant Mexican grocery stores in US and even in Indian grocery stores. Tasty bite beats them on all front in terms of visibility and quality. The biggest draw back in ADF is reducing promoter stake. Also in Desi grocery stores Haldiram,ITC Vadilal & MTR beat them to product variety and shelf space by a wide margin. Seems they are happy to be there only, the firepower visible in others is missing. Exploring investment opportunity in Vadilal industries…Ice cream is really getting acceptance in Desi stores despite double prices compared to local Ice cream products. @Sameermpatel You are completely mistaken bro - Bimal has been at the helm of affairs for many years now. I remember meeting him as the main guy many years back during my Private Equity days. So there is no change in the main guy who is running the show in reality. If his designation has changed from MD to CMD - don’t read too much into it. ADF is just a product manufacturer - one can accept the fact that they are a quality manufacturer. They have no major play otherwise. Soul and other domestic brands you mentioned has been in the market for years and has not taken the sales number financially (as you are saying domestic brands is just 5% or 11 cr yearly which is nothing despite 3-4 years of launch - just for comparison Too Yum launched from Goenka’s has already reached a run rate of 15-20 cr monthly sale in 18 months of sale - now thats what you call a brand) . For a manufacturer, you are paying a price of 3x book, 20 times earnings which seems to be more than fair. Also, margins going up may be due to the fact that earlier they were under-reporting the margins and now they wanted to show full margins so that the stock price increases which served their purpose well as you have said the promoters have been selling all this while. So I don’t find any credibility if the margins have improved. In fact, if earlier they were having just 2-5% net margins on an export business - I wonder if anyone would get into manufacturing of export food products for such margins. Buyback reduced free float but was done via open market so did not help. Overall promoter has reduced stake in last few years every quarter. The price is stable between 200 to 250 but if promoter does not have faith and heart in the business…not going to help anyone. Regarding promoter stake sale in last one year, I analysed and following finding. Basically ADF FOODS Company founder late Mr. Hariram ( in 1932 ) have two sons late Mr. Ramesh and Mr. Ashok . Mr. Ramesh was chairmen till 2013-2014 till his death. after his death Mr. Ashok become chairman. so till 2016 both families was jointly owning business , However last one year outgoing chairman Mr. Ashok thakkar and Mishal Ashok thakkar sell their stake as he want to exist business hence nearly 20% stake was reduced (stake sell due to any family dispute, cannot say) However Present chairman Mr. Bimal who is son of late Mr. Ramesh has not sold any single share of ADF FOODS in last 5 year. And now started increasing their stake .hence now Late Mr. Ramesh family tree Mr. Bimal and other are running business. Just clarified for promoter stake sale. The story dates back to 1932, When Mr. Hariram Mewawala Jairam Thakkar had a Dry fruit store in Mumbai. Hariram Thakkar along with Ramesh Thakkar and Kishore Thakkar incorporated the company in 1991 with the motive of producing a wide range of canned vegetable products. The family of the third brother apparently, Mr. Dilip Thakkar, mainly Sameer Thakkar is running american dryfruits store now which also has a website( It sells dry fruits primarily and also some pickles and rice etc. in India as well as USA) via a company named MH Foods Limited. ADF Foods built a plant at Nadiad in the beginning which was expanded from time to time and the company owns four plants in Nadiad today of which one is an Export Oriented Unit setup in 2003. It also built a plant for spices and masala at Nashik in 1994. In 1965, it acquired the brand Camel from a local merchant at Crawford market looking at its popularity with the Arabs. Then in the 70s they lauched the brand Aeropalne which was targeting the Indians moving to the Gulf for giving them the Indian Taste. In 1988 they launched the brand Ashoka which was targeted towrds USA, Europe and Australia. At present the company is run by Mr. Bimal Thakkar who has been instrumental in the IPO o the company and its further expansion is the Managing director of the company since a decade and is presently running the company and is also the Executive Chairman now after the resignation of his uncle Ashok Thakkar and his real brother Bhavesh Thakkar from the company in May 2018. This also marks the entry of Dangi Group through Alpana Dangi and Mentor Capital Limited who bought 14.32% stake in the company out of the 26.22% stake sold by Ashok Thakkar, Mishal Ashok Thakkar , Bhavesh Thakkar and Priyanka Bhavesh Thakkar bringing down the total promoter holding from 54.32% in March 2017 to 30.51% in June 2018. At present apparently the residual shareholding of the Ashok/Bhavesh group stands at 5.11% and Bimal Group holds 25.4% of the shareholding. Also independent director Naresh Kothari holds 1.89% equity in the company out of which 0.71% is still pledged with Edelweiss. Dolly Khanna and Ashish Kacholia do not appear in the list now. The company continues with its policy to do buyback in the beginning of every year with cap price of 300 for 30 crores this years also. The company with increased focus on National brands is again announcing new launches in its annual report this year. The best thing is that the company has been able to deliver on the launches and also been able to bring success to its new launches from time to time. However, it was strange to note that the company did not provide the detailed productwise break up of traded and manufactured goods as it used to do since the last decade as a note to the balance sheet for Revenues. The company has also announced that it has appointed Country Managers for Europe, Levant Countries (Cyprus, IsraelIraq, Jordan,Lebanon, Palestine,Syria and Turkey) Canada and GCC, Asia and Africa. Savio Almeida - Country Manager GCC, Levant,Asia Pacific and Africa , MBA From NMIMS , joined the company in January 2018, has an experience of 25 years and has previously worked for 5 years as GM,Sales with AMIRA, a NYSE listed company, the stock has though been a wealth destroyer from 22$ per share in 2014 to 1.70$ per share presently. Company is manufacturing in India based in UAE and is primarily selling Rice. It tries to sell Namkeen but looks like it failed miserably as the product is not visible online. Vimal Bhalla, VP Sales USA promoted in April 2018, is with company since 15 years. He has sales experience in companies in the same field also like Ethnic foods, Maaza etc. He has done MBA from Delhi University. Shailesh Thakkar, Country Head Europe and UK - MBA From London College of Mnagement and University of Mumbai Graduate has joined in April 2018 and has worked with companies like SOP International Limited(makes similar products) for 2 years, Empire Bespoke foods for 8 months and various other merchandising background. Truly Indian - Chutney’s , Pickles , Ready to Eat , Cooking Sauces, In Europe.The Pickle sells for about 3 EUR a jar of 300gms and reviews though very less are good. In USA A Delhi Lentils pack sells for 14$ and Potato for 7$, no reviews though. Here hte chutneys sell for about 9$. PJ Organics - Mexican Flavour Health bUURITOS ETC. - the item was out of stock at most of the places. As per talk to a large old shareholder , Bimal Thakkar will not be able to handle the business alone going forward and the company may witness some downside. However he himself claims the their target was 700 for the company and he had to sell midway in the company. The reason for their departure is quoted as some personal problems between Ashok, Bhavesh and Bimal. The company was doing a turnover of 100 crores in 2010 which has increased to 200 crores now, hence the sales growth is not substantial however, the increase in margins and the in between disturbance / misadventure for opening a factor in the US can be a big reason for that. However through these years company has managed to pare down debt substantially in the process and that has come from 42 crores to 9 crores in 5-6 years. With the contract manufacturing model working in favour of the company , the company has been able to expand its margins and brought them back to pre USA adventure levels to 15-16%. At the current market cap of 525 crores and turnover of 200 crores making a profit of 18 crores post tax in a debt free company the company’s return profile can improve going forward if it is able to expand its sales in the near future. However, leaving of promoters suddenly remains a concern. But it can be seen that the family is old and big, people parting ways does not become a big obstacle. Company making profit of only 18 crores and having a market cap of 500 crores means it is at a very crazy valuation. So at best the profit might improve to 40-45 crores in next 8 to years. Considering that the market cap of this company should be more like 150-200 crores. All there is is a story, nothing makes it a case to invest. You are right that even the promoters might leave so no skin in the game in business. It is too small a business to be considered that a professional management might run it and promoters is not a key requirement. A skin in the game promoter is the only key requirement after valuations. And that is missing. Disc - Not invested. Had looked at it earlier. Consolidated turnover for half year ended Sept 18 is 118 crs and PAT is Rs.17.14 crs. Has anyone been able to get a break-up of revenue from different segments and check if the growth is coming from new areas like frozen foods etc and hence the increase in margins? I had attended the AGM and the growth is coming from frozen food area. In fact last few quarters the margin improvement too is largely due to change in the product mix (i.e. increasing contribution from the frozen food segment). Total contribution of frozen food has increased from 27-28% to 40% now. Another interesting thing is that their US operations has reduced losses and even broken even. They are fairly confident about US market becoming profitable this year. I also found management being candid about their past (especially lack of growth). However, in last one year the focus on growth has come back. They have appointed separate country manager for all key geography to drive sales (which till now was driven centrally by sales team). Though I do not have any concrete data, my sense was that management realized that they did not do enough to grow and are now doing course correction. Discl: Small holding…more of a tracking position. Referring to the managerial compensation, I am looking to understand couple of points. Isn’t 10% of PBT too high for a company where promoter holding for a small company is just 32% ? If I refer to screener, I am not able to align the nos. of Revenue and PBT. Am I missing something ? The Compensation has to be looked at not just as a %ge of PBT, but also as an absolute amount, as to what would the promoter of a company of 200 Cr turnover earn to maintain a certain lifestyle. Great promoters can be earning very low amount when the profits are not there, but those are very rare. The Company was rated BBB+ last year, Feb-2018. No update on the rating. Any idea what is the reason. Thanks for your right up… I am curious about the promoter stake sell of more than 20% in 2 year time span. Was there any specific reason for the same. Whether promoter commented anything on the same?